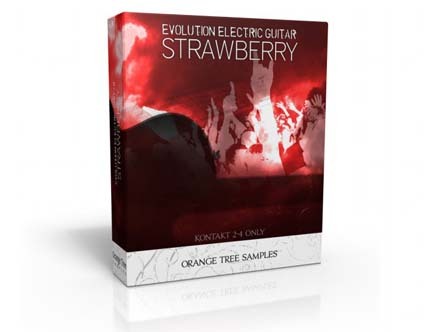 Evolution Electric Guitar consists of two key components: a rhythm guitar engine -- which includes Orange Tree Samples powerful and advanced, yet easy to use, chord strumming functionality -- and a lead guitar engine. The strumming engine automates the time consuming task of sequencing realistic rhythm guitar parts, including an intelligent chord detection engine, which instantly translates chords on the keyboard into guitar voicings on the fretboard. Popular studio techniques like double tracking are performed with the touch of a button. Want to detune or capo the guitar? It's all easily done, and switching to alternate tunings not only affect the range of the instrument, but change the tone of the individual strings. To provide the greatest versatility, Evolution Electric Guitar was recorded dry so that users can choose their favorite select amp simulation and effects to attain just the right sound, from pop to rock to funk to hip hop to jazz. No sirve tampoco brother, y no los consigo en ningún otro lado, los podrías resubir, por favor?